Yeah…..If I tell you my story, Ahaaah. Eeeeh-Aaaah…..Akwam gwagi my story, Ahaaah. That’s why I’m making money-oooh, money-money. Everyday I’m getting money-oooh, money-money. Yeah…..If I tell you my story. 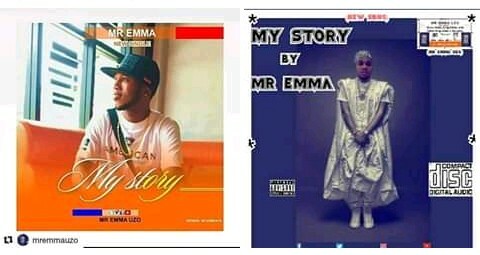 [img]http://forum.jaguda.com/wp-content/uploads/2018/12/IMG_20181216_175504_909.jpg[/img] MR EMMA - MY STORY-LYRIC You can copy and paste this links below on your browser to search. PLEASE SUBSCRIBE TO MY YOUTUBE CHANNEL. FOLLOW FOR FOLLOW BACK. COMMENT FOR COMMENT. LIKE FOR LIKE. 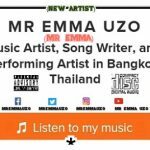 #https://youtu.be/cOKSGJmFQRI #https://soundcloud.com/mremmauzo #https://facebook.com/mremmauzo #https://twitter.com/mremmauzo #https://instagram.com/mremmauzo #https://linkedin.com/in/mr-emma-uzo #https://mremmauzo.wordpress.com LYRIC-MY STORY by MR EMMA (INTRO) Ahaaaah.....Everyday I'm getting money-oooh. Look up to the sky, you go see blessing of God upon me. Baba God I say- I thank you, Jesus I thank you. (VERSE 1) Yeah.....If I tell you my story, Ahaaah. My brother, you go try to give God the glory, Eheeeh. Back in the days some people try to reject me, Eaeeeh. Now I thank God, My God has change all my story-oooh, From Story To Glory. Eeeeh-Aaaah.....Akwam gwagi my story, Ahaaah. My brother, you go try to give God the glory, Eheeeh. Back in the days some people try to reject me, Eaeeeh. Now I thank God, my God has change all my story-oooh, From Story To Glory. (CHORUS) That's why I'm making money-oooh, money-money. Everyday I'm getting money-oooh, money-money. Look up to the sky, you go see blessing of God upon me. Baba God I say- I thank you, Jesus I thank you. That's why I'm making money-oooh, money-money. Everyday I'm getting money-oooh, money-money. Look up to the sky, you go see blessing of God upon me. Baba God I say- I thank you, Jesus I thank you. (VERSE 2) Onye chukwu si na oga bu eze, so ya ga bu eze. Onye chukwu si na oga enwe ego, so ya ga enwe ego. Ezi chukwu emeperamu uzo, otiwaramu uzom-oooh. Wannem achabagom, Mr Emma na etibagom-oooh. Yeah.....If I tell you my story. Bros I suffer no be small, For so many years and so many pains. Wannem I suffer no be small. Maka na ekele chukwu na nke omere, Omekwala ya ozo-oooh. God I thank you, Mr Emma na etibagomu-oooh. (CHORUS) That's why I'm making money-oooh, money-money. Everyday I'm getting money-oooh, money-money. Look up to the sky, you go see blessing of God upon me. Baba God I say- I thank you, Jesus I thank you. That's why I'm making money-oooh, money-money. Everyday I'm getting money-oooh, money-money. Look up to the sky, you go see blessing of God upon me. Baba God I say- I thank you, Jesus I thank you. (VERSE 3) Aaaah-Eeeeh, Ono-ono. Aaaah-Eeeeh, Ono-ono. Aaaah-Eeeeh, Ono-ono. Baba God I thank you, Jesus I thank you. Asim na poverty, bye-bye. Bad market, bye-bye. Ihie isi ike, bye-bye. Pain and sorrow, bye-bye. Onwu ike, bye-bye. Trouble and problem, bye-bye. I say my God I thank you, Jesus I thank you. Yeah.....If I tell you my story, Ahaaah. My brother, you go try to give God the glory, Eheeeh. Back in the days some people try to reject me, Eaeeeh. Now I thank God, My God has change all my story-oooh, From Story To Glory. Eeeeh-Aaaah.....Akwam gwagi my story, Ahaaah. My brother, you go try to give God the glory, Eheeeh. Back in the days some people try to reject me, Eaeeeh. Now I thank God, my God has change all my story-oooh, From Story To Glory. (CHORUS) That's why I'm making money-oooh, money-money. Everyday I'm getting money-oooh, money-money. Look up to the sky, you go see blessing of God upon me. Baba God I say- I thank you, Jesus I thank you. That's why I'm making money-oooh, money-money. Everyday I'm getting money-oooh, money-money. Look up to the sky, you go see blessing of God upon me. Baba God I say- I thank you, Jesus I thank you. (VERSE 4) Aaaah-Eeeeh, Ono-ono. Aaaah-Eeeeh, Ono-ono. Aaaah-Eeeeh, Ono-ono. Baba God I thank you, Jesus I thank you. That's why I'm making money-oooh, money-money. Everyday I'm getting money-oooh, money-money. Look up to the sky, you go see blessing of God upon me. Baba God I say- I thank you, Jesus I thank you. (OUTRO) Yeah.....If I tell you my story, Ahaaah. My brother, you go try to give God the glory, Eheeeh. Back in the days some people try to reject me, Eaeeeh. Now I thank God, My God has change all my story-oooh, From Story To Glory. THANKS YOU GOD FOR MY STORY. FB@ mremmauzo TWIT@ mremmauzo IG@ mremmauzo YOUTUBE @ Mr Emma Uzo #mremmauzo #mremma #emma SHARE! SHARE!! SHARE!!! Wow…i love this, Nice Lyrics keep it up. Wow...i love this, Nice Lyrics keep it up.